By using up to 16 Recording Windows single or periodically recurring events can be recorded in parallel. Endless recordings can be created as well. The recorded audio material is automatically segmented and named. The resulting audio files can be automatically set into a database (i.e. Digas). Audio sources can be different audio devices or separate channels of a multichannel source (ASIO). Recordings can be processed directly to various audio formats. 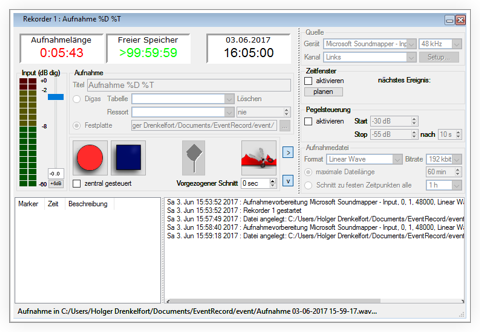 Level control and long-term recordings can be configured. During the recording process markers can be set in order to immediately locate individuated positions. 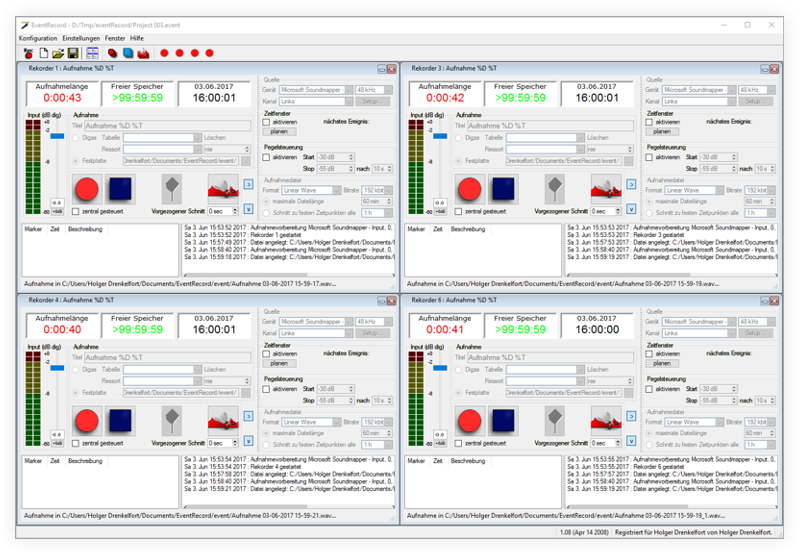 Recordings can be linked to a level control or processed within a defined timeframe. All operations are logged and can also be evaluated remotely. All operations are logged and can be evaluated remotely. 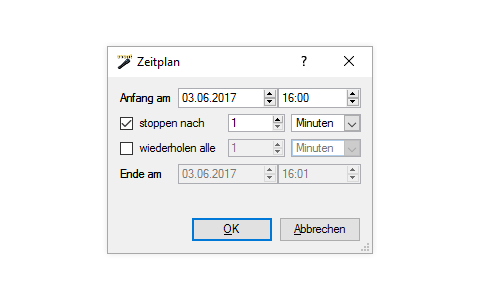 In case a recording is interrupted by an error situation, i.e. the hard disk is running out of memory, the recording is resumed automatically as soon as the error is corrected.